We have dropped plans to change our name to Frontline Conservation. We asked for your feedback, you were right, and we listened. It’s a bold name that is very much in line with the values of our team, and represents our original purpose to be working on the ground in those areas where it really counts. Some of you loved it for its strength and fearlessness, but many of you felt it was too bold, too aggressive, and too divisive. In the end we had to agree. We want to be bold and fearless, but we also believe in the power of a positive message, inclusiveness and collaboration. Yes, people can be selfish and greedy, but we believe our greatest strength is our proven natural tendency to cooperate and share. Indeed, the only way we’re going to tackle the many global challenges we face is by nurturing that capacity and encouraging it to flourish. So the last thing we want to do is divide people over something as silly as a name. Plus, for our American fans, it had a worrying resemblance to a certain tick control product. Not exactly the look we want. 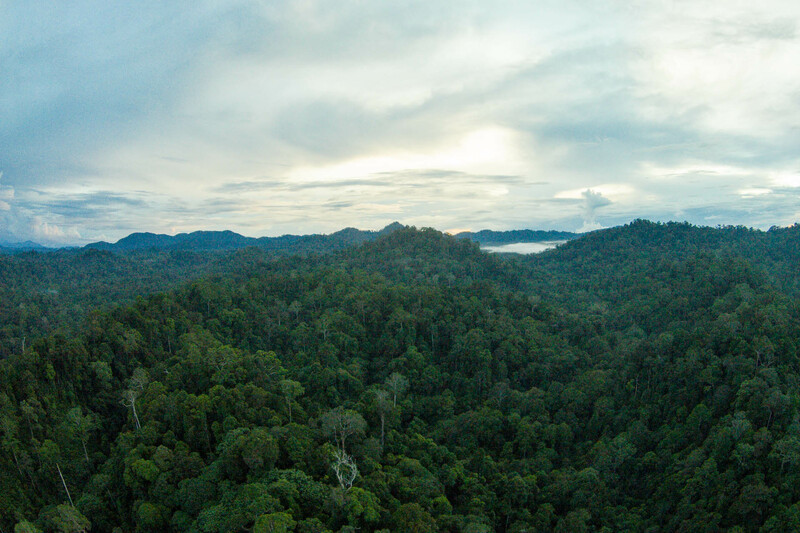 What Becomes of the Heart of Borneo Project? A lot of you simply asked, “why not just keep Heart of Borneo?”. Well, we are keeping it. We’re changing the name of our organisation so that we don’t cause confusion when we’re writing reports or emails or working on the ground. But we’re sticking with Heart of Borneo online, so for many of you there won’t really be anything different. We’ll use our Heart of Borneo website, newsletter, and social networks to continue raising awareness, educating people on the issues, and empowering them to make a difference. What, then will our organisation be called? Beyond Conservation. We’re defining our vision in two simple words, and we’re putting that vision front and centre of our work by adopting it as the new name for our organisation. In this vision we imagine a world that’s moved Beyond Conservation: a world where we’re no longer fighting just to defend the front line, scrambling to save as much wildlife and habitat as we can while all around us forests are burned, bulldozed, and emptied; a world where we view ourselves as part of and dependent upon the global, regional and local ecosystems that we inhabit; a world we put the long term health of those ecosystems and our societies above short term profits and GDP fetishisation; a world where we are restoring, replanting, reforesting, and rewilding, and where we are net contributors to the health of our planet instead of net destroyers. In short, a world where human society has matured beyond the needs of conservation as we know it now. We’re not naive. In the short term things are going to get worse. Some of the best news we have right now is that rates of deforestation in places like the Amazon are slowing down. That just means that in those places, we’re cutting down rainforests a little bit more slowly than we were a few years ago. We’re still cutting them down, and in our corner of the world, deforestation rates are increasing. Trying to set a 5 year vision as a conservation organisation is a difficult business. There is no credible scenario that would bring about the kind of global paradigm shift that we need within that time frame. We believe it will come, but we need to play the long game. So what about 10 years, or 20 years? It’s hard to predict what will happen over that time frame, and when the tide will finally turn, but we firmly believe that we are nearing the bottom of a century long curve, and that we’ll begin to shift into a beyond conservation world at some point over the next two decades, if only because the impacts of climate change begin to force our hand. However, when we bottom out and begin to shift paradigms it is crucial that we keep two things in mind: shifting baseline syndrome and the importance of values. Shifting baseline syndrome is a cultural phenomenon whereby each generation accepts as normal the situation in which it was raised. One symptom of this syndrome is that conservationists of each generation will attempt to conserve the world that they grew up with, even if that is a heavily disturbed and degraded fraction of what was originally there. Consider that we have lost 50% of global vertebrate biodiversity in the past 40 years and you will get an idea of how important it is not to accept current biodiversity levels as a baseline, let alone whatever those levels are in another ten years. When we begin to climb out of this period of environmental destruction, we will need to use historical records as our baselines, and a 50 year vision will help us stay true to that. Long term thinking like this also helps us to carefully consider our values by keeping our place in the grand scheme of things in perspective. As fascinating and incredible as we may be, you and me and in fact the entire history of human civilization are mere blips in the biological history of this planet. We are a part of that evolutionary history and as such we are a part of the ecology of this planet, not separate to it or above it. In one way or another we all breathe the air and drink the water and eat the fruits of the land and sea, so when we damage our ecosystems we are harming ourselves, reducing our quality of life, impacting our health, and damaging our cultures and economies. Even worse, we’re failing in perhaps the most basic function of our species: to provide for our offspring by safeguarding the world that they will grow up in. How we decide to value nature, biodiversity, and wilderness will be crucial in determining what we protect and why. If we only value ecosystems for the services they provide us, for example, will those ecosystems come under threat if we develop technologies to perform those services? We will argue that by remembering the kind of respect for and humility toward our environment that many indigenous cultures around the world can still teach us, we can and indeed must learn to value the long term health of our ecosystems above and beyond short term interests, no matter how powerful the forces arguing for them might seem. Beyond Conservation: our vision written into our name. This is the work of a lifetime. Fortunately, we are driven by a team that is dedicated to this, and that is (mostly!) young enough to have a good shot of being able to enjoy a shin dig in 50 years time to celebrate. As always, we invite you to join us by contributing however you can. No Comments to "Beyond Conservation – Defining a Vision"